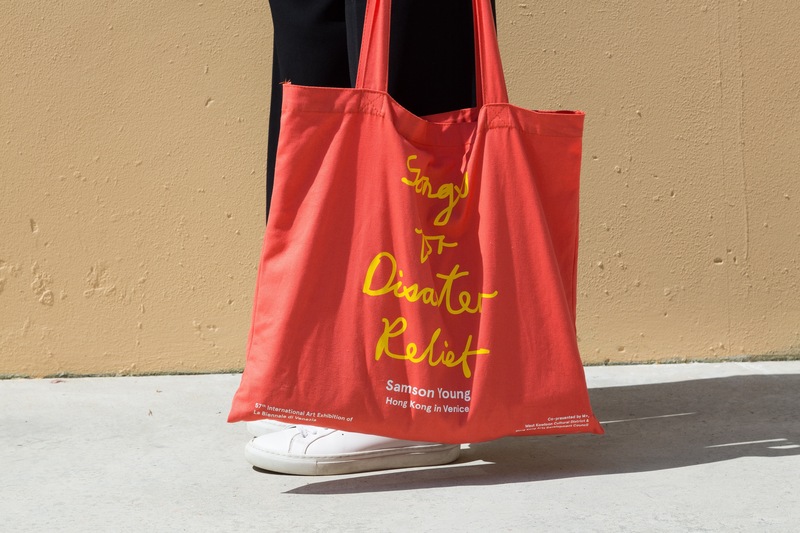 London studio Hato has created a striking identity for the Hong Kong Pavilion at the Venice Bienniale, designing posters, invitations, a catalogue and a website for artist Samson Young’s project, Songs for Disaster Relief. 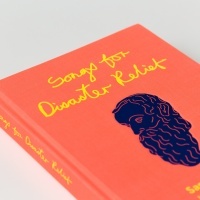 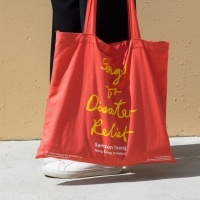 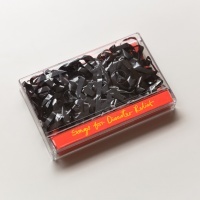 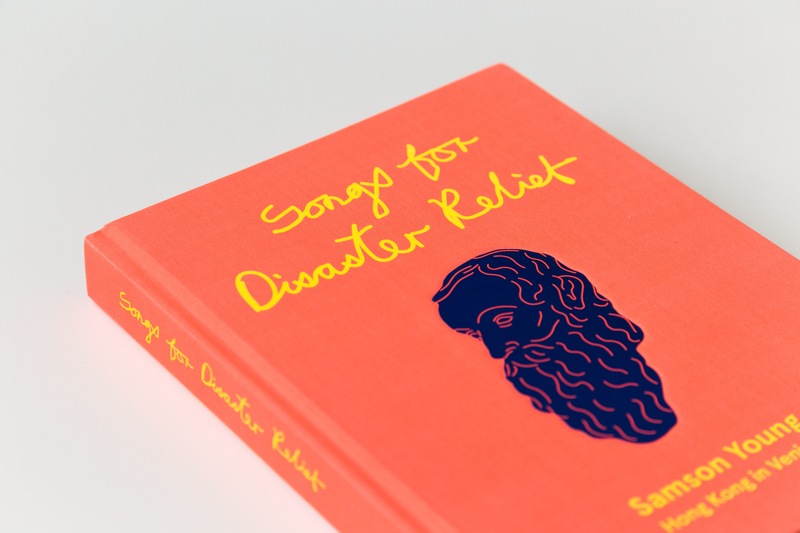 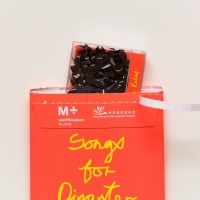 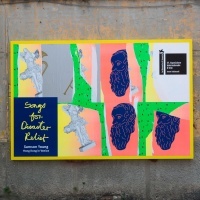 Songs for Disaster Relief explores the popularity of charity singles from the 1980s through drawings, objects, videos and sound installations. 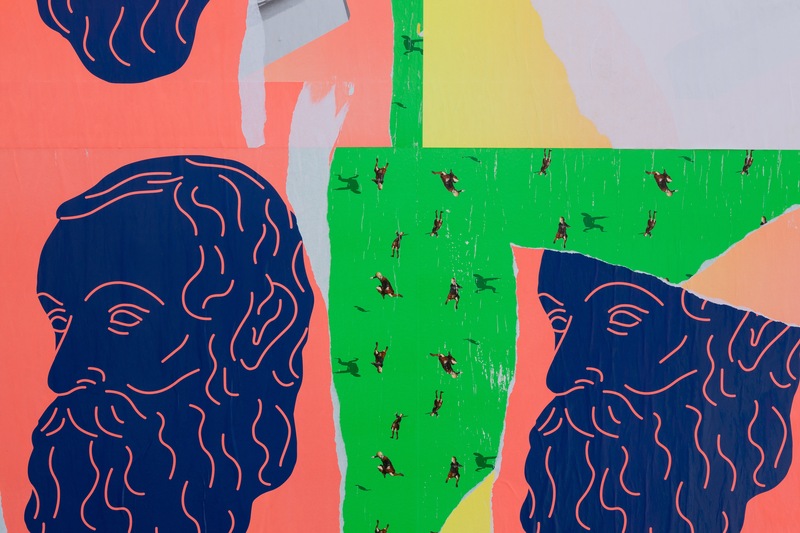 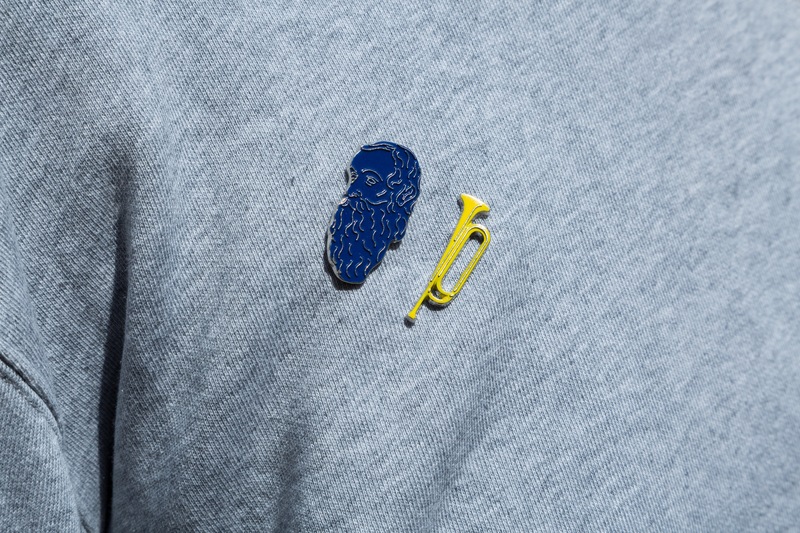 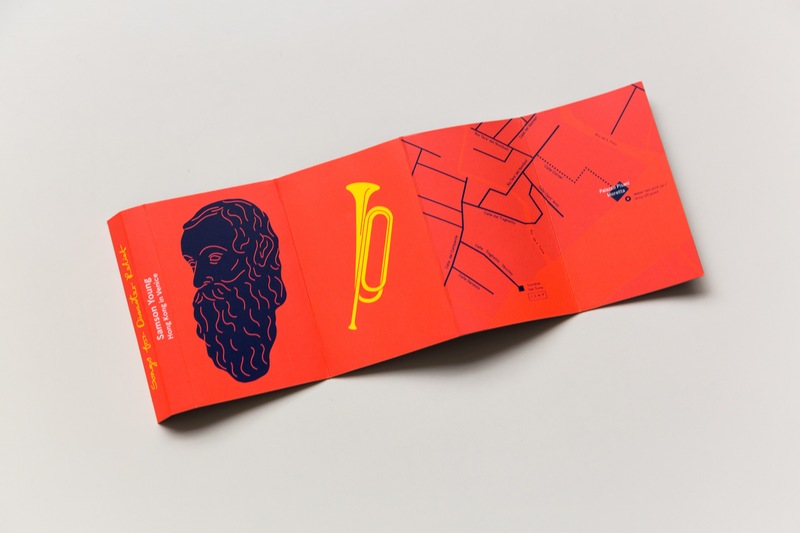 Hato’s visual identity for the exhibition is based on the Pythagoras bust (a recurring motif in Young’s work). 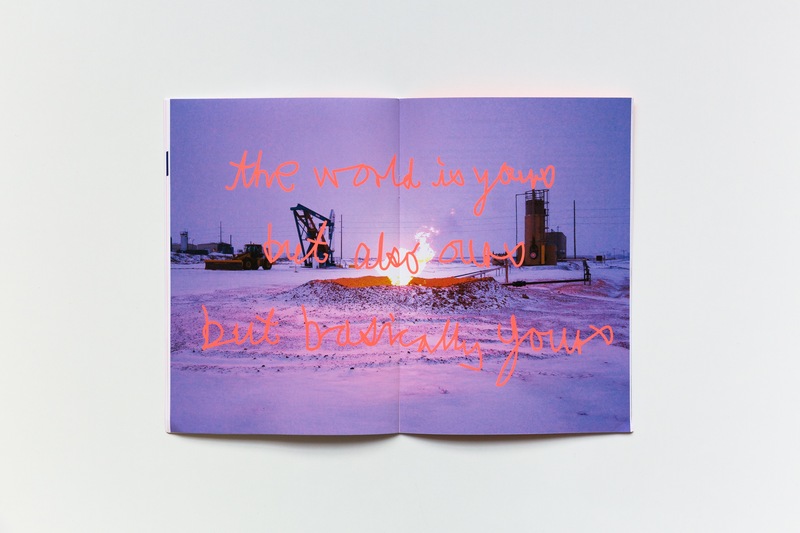 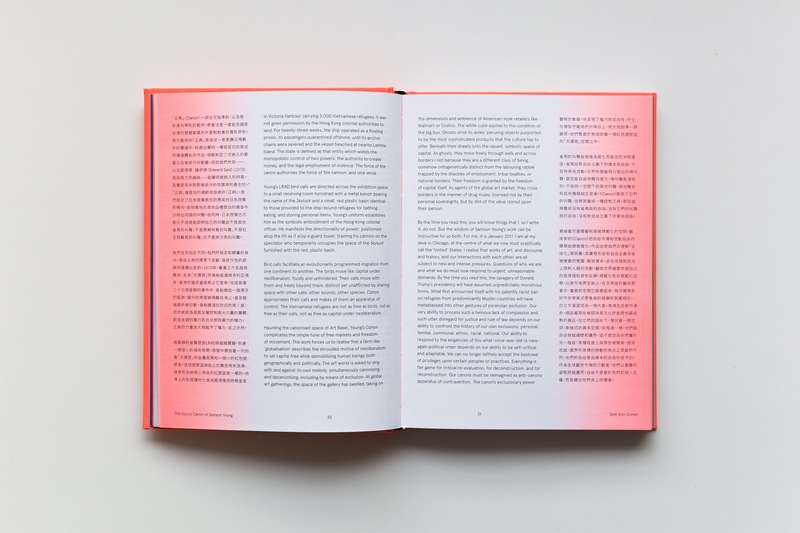 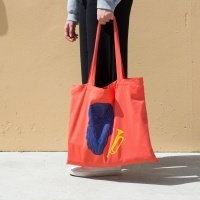 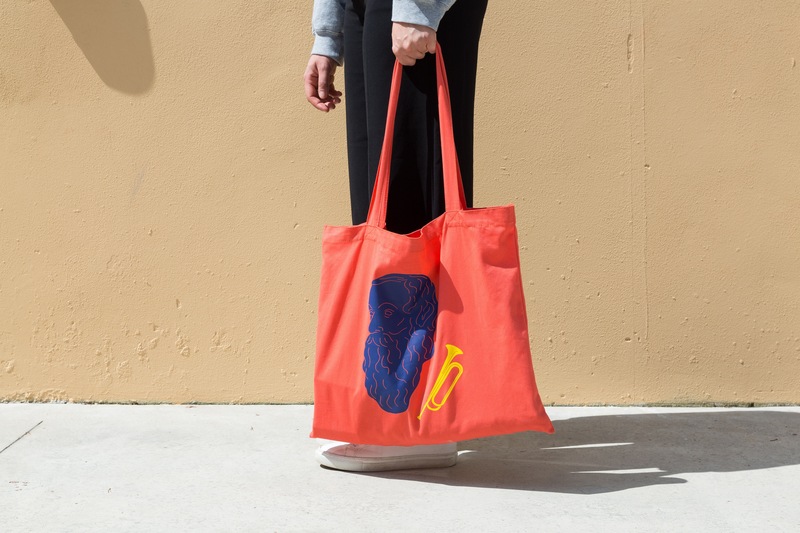 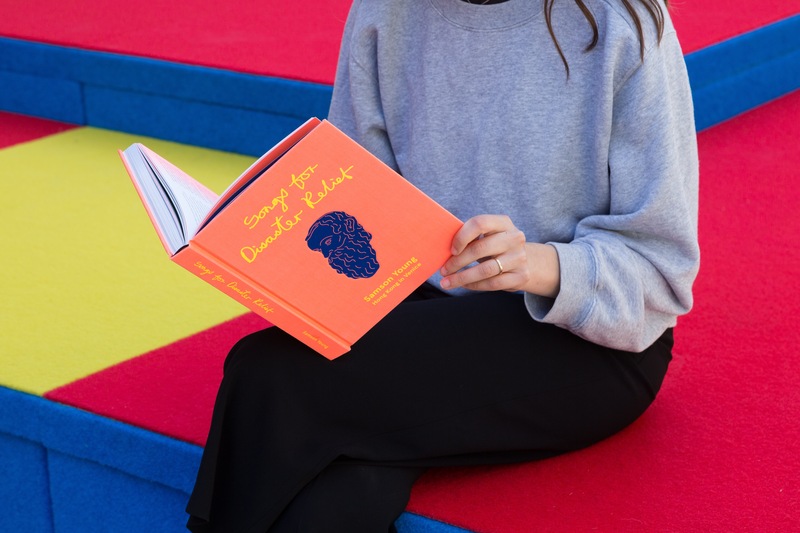 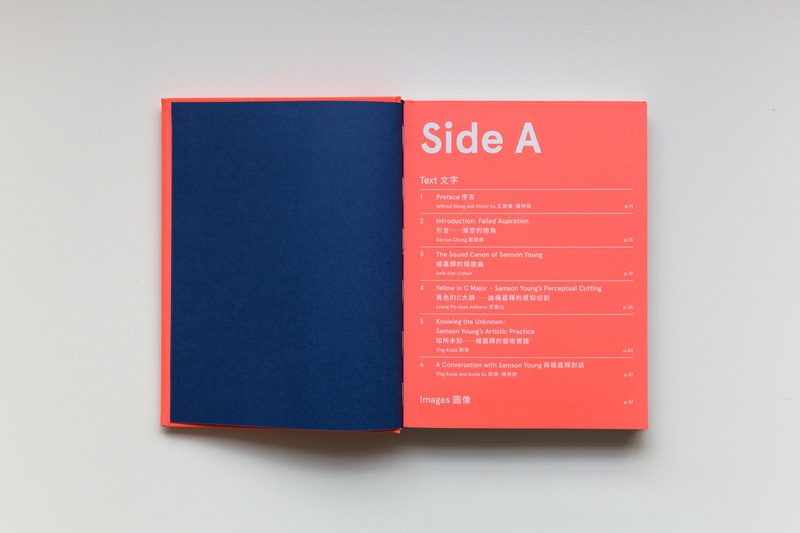 It also features bold colours inspired by Young’s neon sign installations and a typeface based on his handwriting. 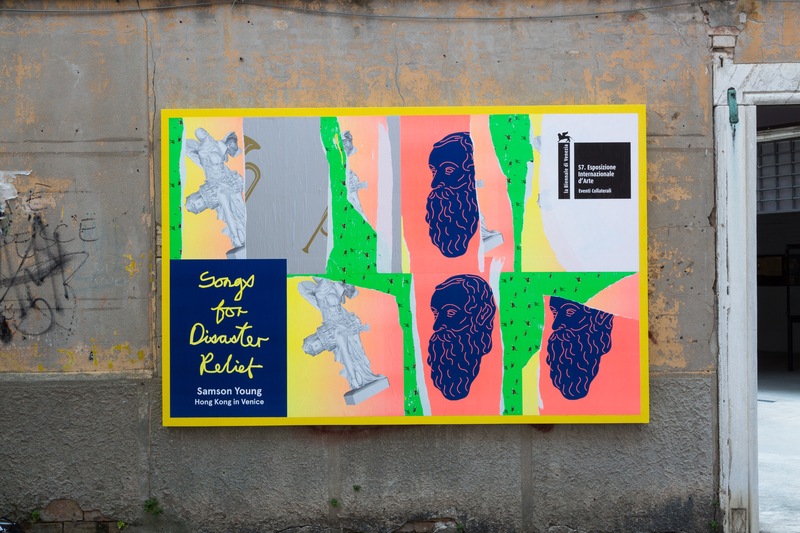 Posters at the exhibition’s entrance feature a bugle, a bust, a boy dancing and a digitally created statue. 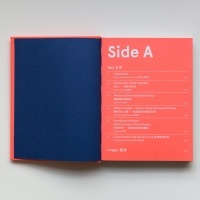 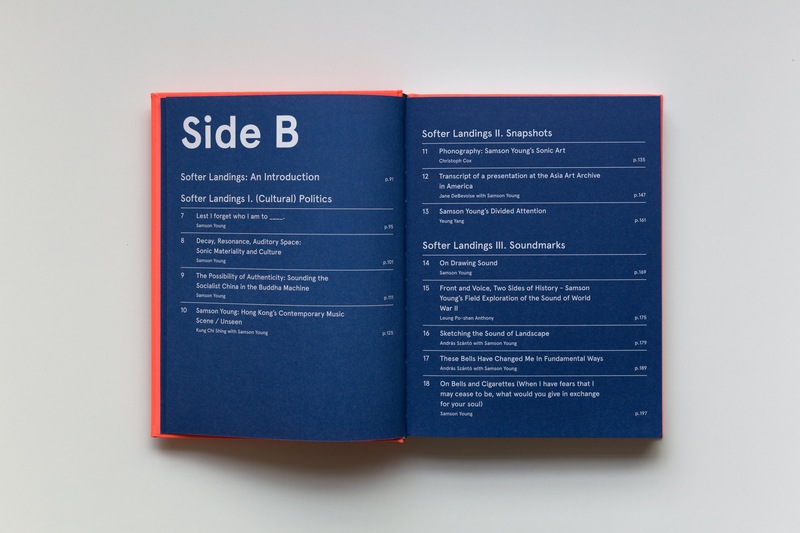 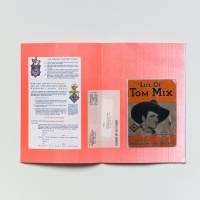 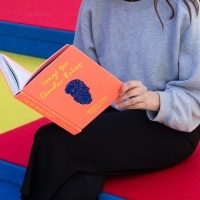 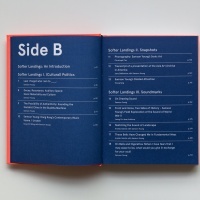 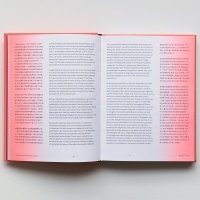 The catalogue is presented as an album with an A side and B side (the A side cobtains work from the exhibition and the B side, from Young’s back catalogue) and a subtle gradient effect is used throughout. 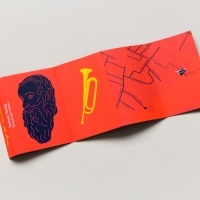 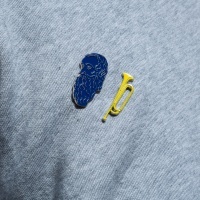 The gradient effect is also used on a bilingual website for the exhibition, which features animated versions of the bust, bugle and dancing boy shown in posters. 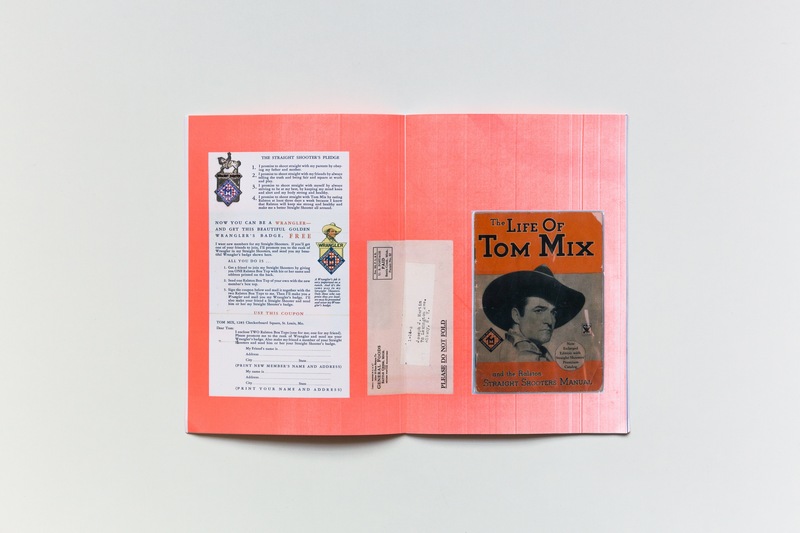 Invitations for the exhibition launch were packaged in sealed pouches along with cassette cases filled with tape. 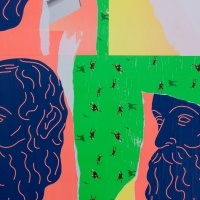 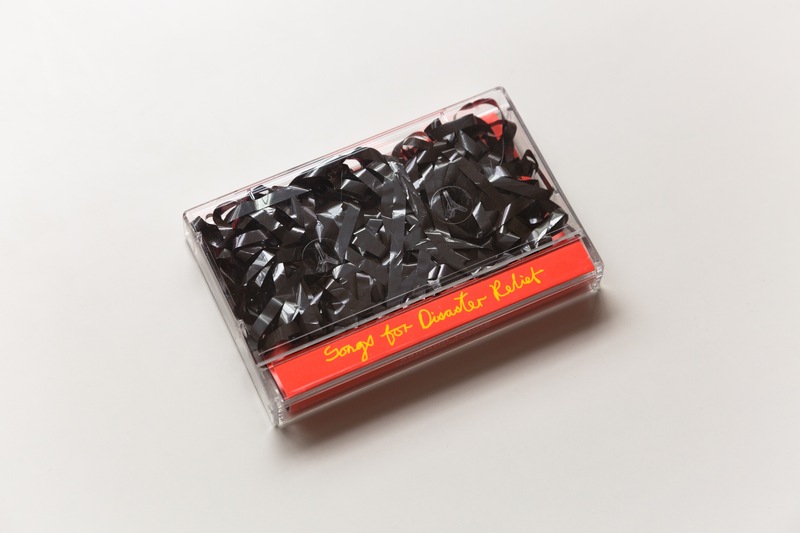 Hato says the identity is inspired by the “cut and paste” nature of charity singles. 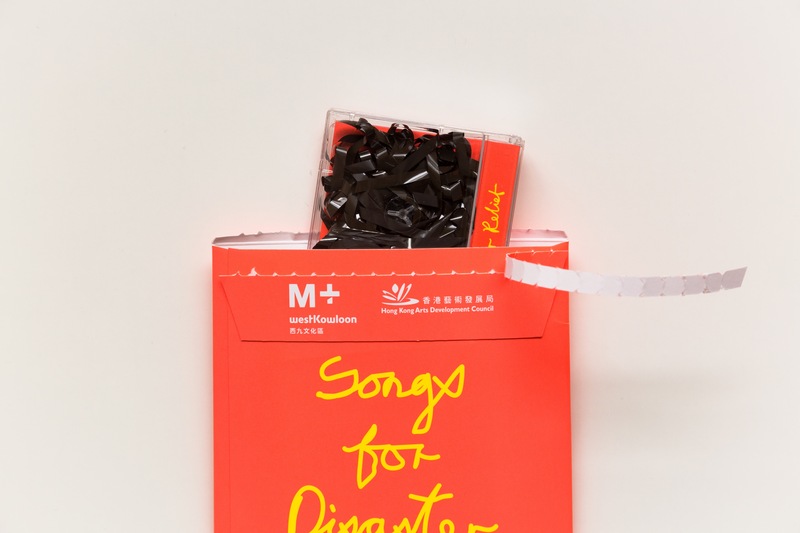 “Charity singles often adopt a cut-and-paste composition and similar to this montage idea, the design treatment looks into an assemblage of different structural elements,” explains the studio.